One thing I love about Minnesota is the amount of space they set aside for nature and wildlife. 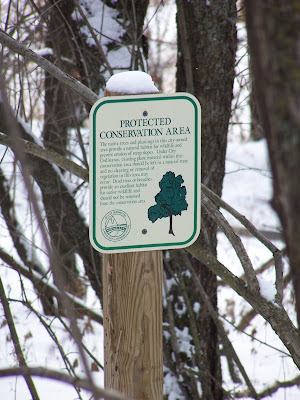 Conservation signs like the one above are commonly seen in areas where counties are trying to find a good balance between neighborhoods, wildlife, drainage issues, zoning, etc. Instead of clear cutting for construction, developers are now having to designate a certain percentage of land to green space.